← Gifts For Mom On Your Wedding Day! I’ve been under a ton of stress lately so I’m sure that accounts for the horrible skin problems I’m having right now. In addition to stress acne, I have the ongoing problem of acne rosacea. Fortunately I only get mild redness with occasional bumpy flare-ups, nothing that can’t be covered by a little make-up, but it still has a negative effect on my skin. I have tried tons of products to make my regular acne go away, as well as multiple visits to the dermatologist, all have yielded less than positive results, not to mention the expense. I’m super tired of going through product after product and nothing works. I am also tired of telling people about it, and they say, “Oh you should try xxxx product it’s awesome!” or “Well I’m a consultant for Mary Kay/Avon, and I have blah blah blah.” Mary Kay/Avon never has, never will solve the world’s skin problems. Avocados: help add moisture to your skin, combine with other ingredients for a great facial! 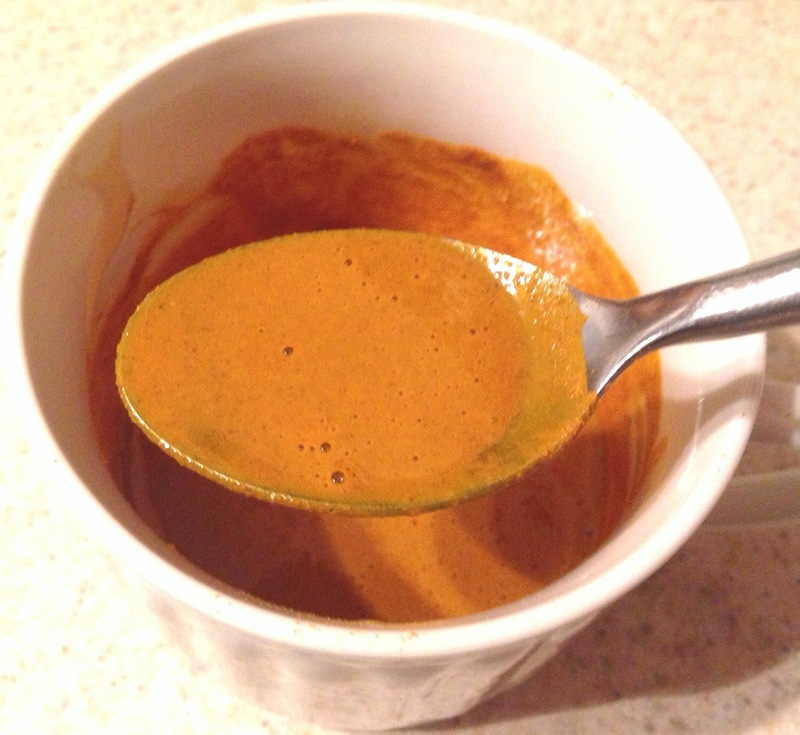 My first attempt at this is actually with Turmeric as well as with some honey and milk. 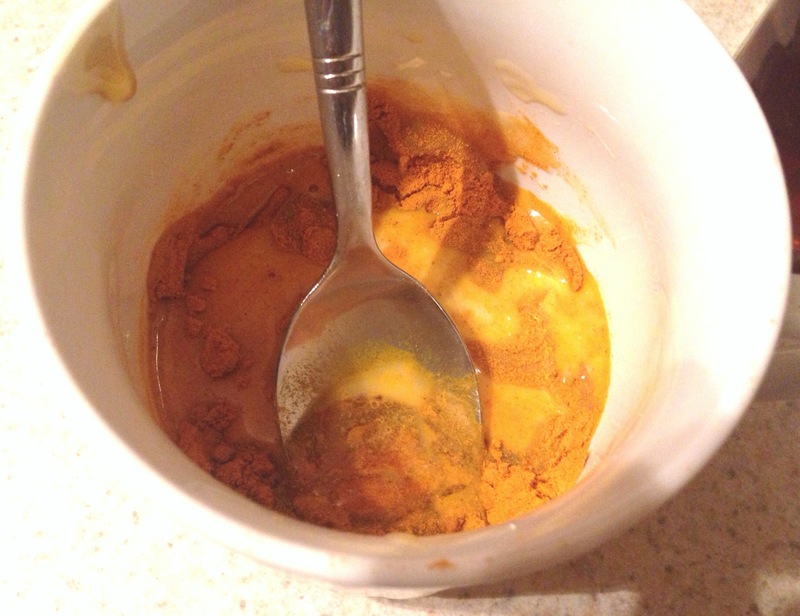 If you mix Turmeric with other ingredients it can make a kind of paste which allows for a great mask! I should say that the best thing to do when using natural ingredients in skin care is to buy all organic. This way, you know you aren’t getting anything that could harm your skin. Before you start, wash your face thoroughly, and get all the makeup off. 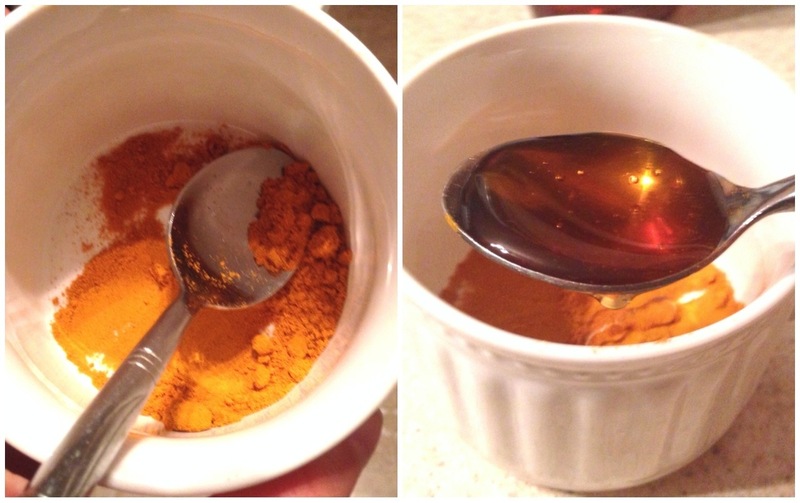 First, fill your small spoon with Turmeric and put it in your bowl, followed by a spoonful of honey. 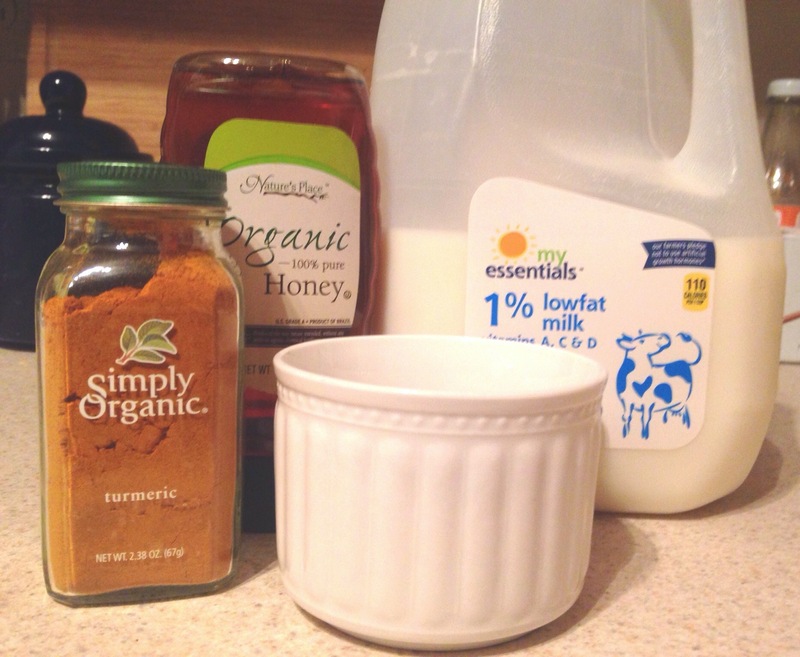 Mix it around a bit before you add the milk, which will make an unmanageable paste. Add the milk, but just a tiny bit, because otherwise it will become too watery. I accidentally made mine too watery, it’ll still work, but more drip-age may occur. Once you mix everything together it will form a nice orange paste. Now it’s time to apply the mask! Do it over a sink or something because it will drip, and it’s best to avoid dripping on furniture. Just take the same spoon you used for mixing and use the back of it to spread it across all the areas you want to affect. 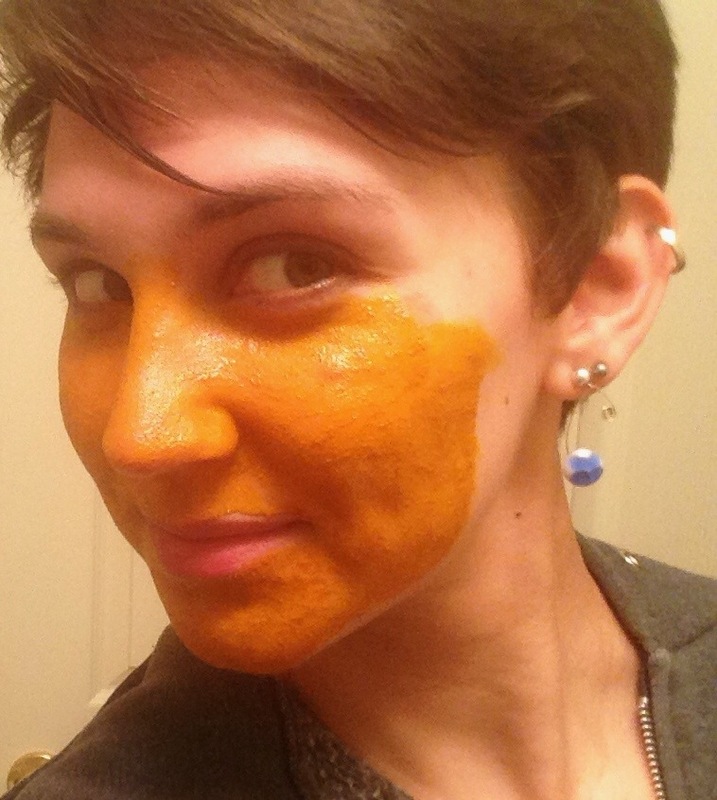 If you have dark circles make sure you hit up under the eyes, as Turmeric helps to improve pigmentation. 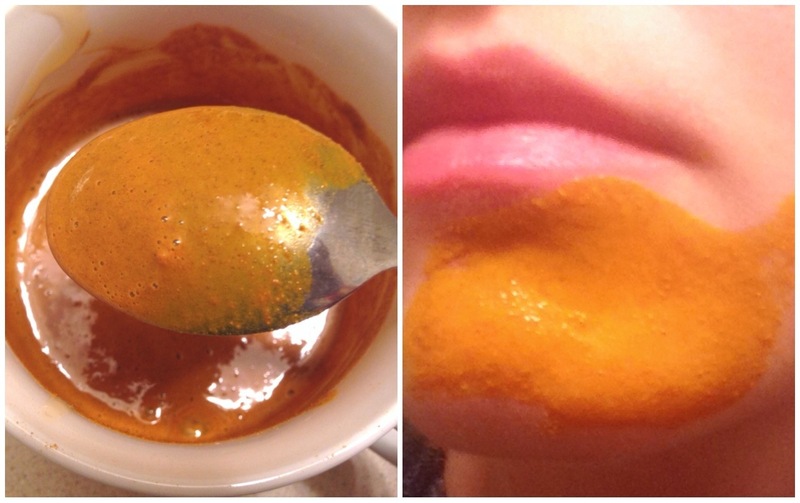 Slather it all over until you look like an Oompa Loompa…see? Now just wait around for 15 or 20 minutes, till it starts to feel dry around the edges. Then just rinse it off. Don’t use soap and don’t wash your face again! Yes, you will look a little orange, and it will come out by the time you have to go to work tomorrow! This is only the second time I’ve tried this mask, so I cannot speak to the long-term results. My skin did feel smooth after washing it off though. This mask is like the ones Indian brides use before their wedding to make their skin smooth and glowing. So hopefully the long-term results are good ones! Get your girls together and do Oompa Loompa facials all around! This is really a nice article. I totally can connect with it coz i had the same problem. Acne prone skin and to get it worse had pigmentation. I tried all the dermatologist and they gave me all sorts of pills, lotions and soaps too.. which were way to expensive but a waste. Then i thought of trying some natural face packs, toners, moisturizers for my skin and got a article with some amazing tips and recipes on the same. Trust me it was my best decision to switch to natural and homemade skin care products. You are also focusing on natural way of treating our skin so i would like to share that article with you. Hope it adds value to your post. Oompa Loompa Oompa Loompa doopity doo! ha ha that home made mask is so cool.Yeah using organic ingrdients is always the safest bet. I think the long term effects will be good. Many Indian women have great skin up into thier old age. Great post Oompa Loompa! LOL!